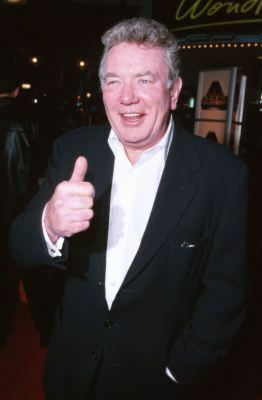 British actor Albert Finney has died at 82, according to obituaries published by The Guardian and the BBC. The actor had a long career, beginning in the 1950s and concluding with 2012’s Skyfall, the 23rd James Bond film. He was nominated five times for an Oscar, including for his performances in 1963’s Tom Jones and 1974’s Murder on the Orient Express. One of his early highlights was 1960’s Saturday Night and Sunday Morning, a “kitchen sink” drama from producer Harry Saltzman, who a year later co-founded Eon Productions with Albert R. Broccoli. 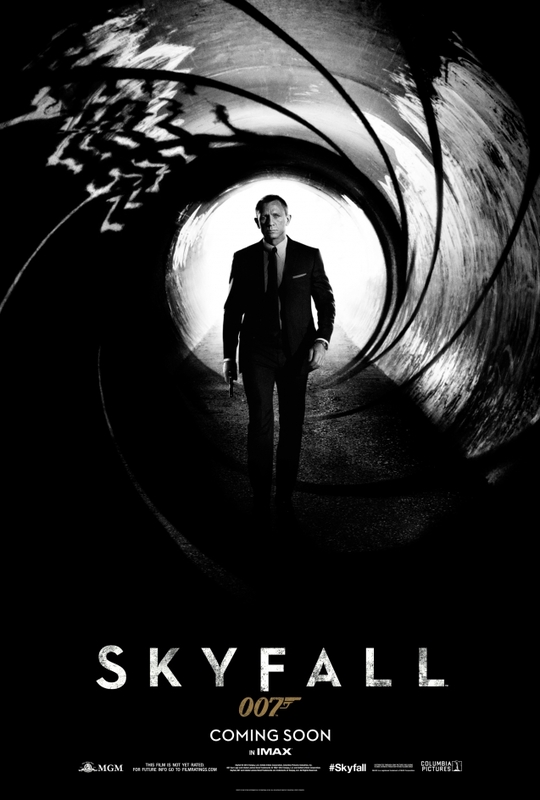 Skyfall director Sam Mendes told The Huffington Post in 2012 there had been consideration of trying to cast Sean Connery, the original film Bond, in the part. ” So, it was a very brief flirtation with that thought, but it was never going to happen, because I thought it would distract,” Mendes told the website. Baz Bamigboye of the Daily Mail wrote in a November 2011 story that Mendes surprised the Skyfall cast during a script reading with the news that Finney was joining them. The story, however, had one key error: “Finney, who has been in remission from cancer of the prostate for several years, will play a Foreign Office mandarin with powers over the Secret Intelligence Service, described to me as a reasonably big role and full of class.” That would turn out to be Mallory, played by Ralph Fiennes. Mallory takes over as the new M following the death of the Judi Dench M at the climax of the film. Below is a brief video with Finney in costume talking about Skyfall. 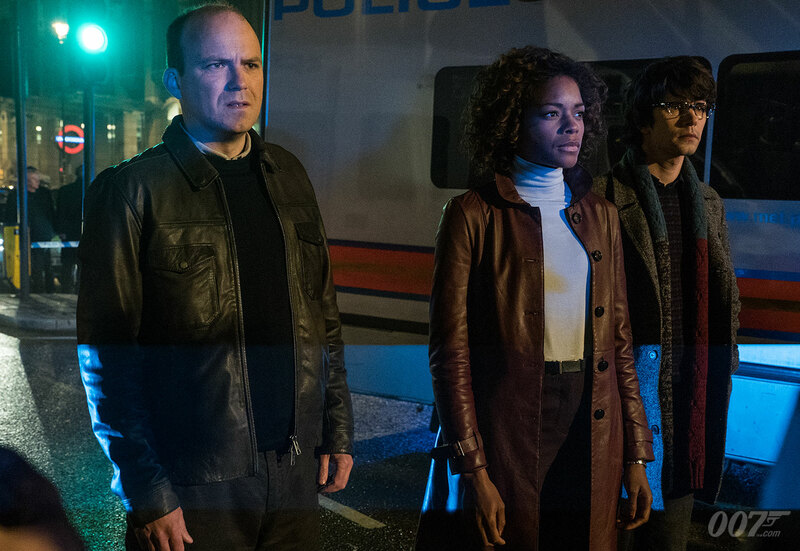 SPECTRE publicity still featuring part of the fan-dubbed “Scooby Gang,” Tanner (Rory Kinnear), Moneypenny (Naomie Harris) and Q (Ben Whishaw). There’s a fan-generated 007 nickname that has gotten traction these days. That would be the “Scooby Gang.” It’s shorthand for how supporting characters in the Eon Production film series join Bond out in the field. It’s based on the cartoon series Scooby-Doo, where the Scooby Gang of young people and a dog go out and solve mysteries together. “Scooby Gang” was used in Buffy the Vampire Slayer, referring to the cartoon show. Formerly, Bond was a lone-wolf. M would give 007 the mission. Q would provide some gadgets and Moneypenny would flirt before Bond departed the office. That’s been changing for a while. In 1989’s Licence to Kill, Q (Desmond Llewelyn) goes rogue, as Bond (Timothy Dalton) has. He not only brings along some gadgets, he acts as 007’s assistant. After Judi Dench came aboard as M in 1995’s GoldenEye, her character’s screen time expanded. That process started with 1999’s The World Is Not Enough where M’s kidnapping is a major aspect of the plot. Finally, with 2012’s Skyfall, we got a rebooted Moneypenny (now with a first a name, Eve) who we initially see as a field agent. Also, the Judi Dench M scores more screen time than before because she’s a mother figure for both Bond (Daniel Craig) and the villain Silva (Javier Bardem). In 2013, there was an early indication the Scooby Gang would come together in SPECTRE. “Naomie Harris is getting more of the action in the next James Bond film, which starts shooting next year,” Baz Bamigboye of the Daily Mail wrote in a story published on Sept. 12 of that year. Director Sam Mendes, Craig, and producers Barbara Broccoli and Michael G. Wilson are all big fans of Naomie’s and don’t want her to be too desk-bound, as other Moneypennys have been. ‘The idea formulating in Bond-land is for Naomie to be much more of a sidekick to James, and for her to get out and harm the bad guys,’ an executive close to the production told me. Meanwhile, Judi Dench/M perished at the end of Skyfall and was succeeded by Mallory (Ralph Fiennes), who has his own impressive military background. By the end of SPECTRE, M, Moneypenny, Q (Ben Whishaw) and Tanner (Rory Kinnear) are all out in the field helping Bond. And, thus, the Scooby Gang nickname was born. It has appeared on 007 message boards and elsewhere on the internet. Now, there has been recent fan speculation/questioning whether Fiennes can return to play Mallory/M because of other acting jobs. In the “old days,” few fans wondered about the availability of Llewelyn, Bernard Lee or Lois Maxwell. The actors only had a few days of work and the focus was on Bond. Llewelyn was absent from Live And Let Die, but most of the publicity and fan attention was on Roger Moore’s debut as 007. We’ll see what happens next. Meanwhile, here’s an amusing tweet from Phil Nobile Jr., former writer for Birth. Movies. Death and now editor of a new incarnation of Fangoria magazine. He’s a big 007 fan and has written extensively about Bond films in the past. Bond 25: Will Ralph Fiennes be available? Ralph Fiennes “is in talks” to join the cast of The Forgiven, a project expected to begin filming early in 2019, Deadline: Hollywood reported. Fiennes has appeared in the past two James Bond films, Skyfall (2012) and SPECTRE (2015). For some 007 fans, The Forgiven raises the possibility whether Fiennes would be available for Bond 25. Currently, Bond 25 has an announced U.S. release date of November 2019. The project supposedly will begin filming in late 2018. At the moment, it has no announced distributor. From a distance, if Fiennes is in The Forgiven, it might be a conflict for him to remain as Mallory, the newest M in the 007 film series. However, with the absence of a confirmed distributor or financing, both the release date and start of production start for Bond 25 seem less than firm. Actor Daniel Craig said in August 2017 he’d be back to play 007 in Bond 25. Director Danny Boyle has said he may direct the film if a story idea he developed with John Hodge is accepted. Some Bond fans are convinced more is happening behind the scenes. That may be. But there isn’t much confirmed about Bond 25, so that’s not a high bar. 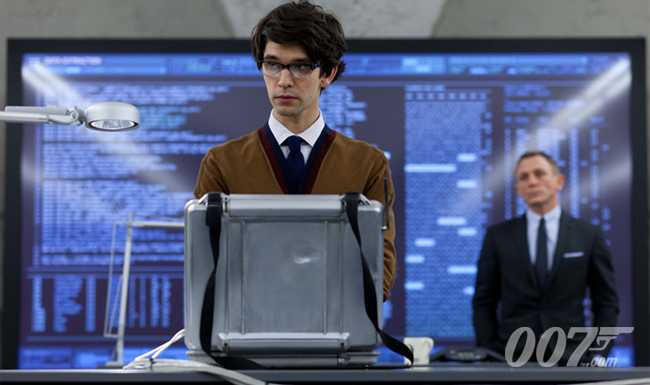 So, this week, actor Ben Whishaw, Q in the two most recent James Bond movies, made a few comments to Metro which were deemed news about Bond 25. This was analyzed by Birth. Movies. Death (“Q Is Standing by for BOND 25“) and Screen Rant (“Ben Whishaw Expects Bond 25 To Begin Filming Later This Year“). And, yes, it was news, at least of a sort. Neither Eon Productions (which makes Bond movies) nor Metro-Goldwyn-Mayer (which controls half of the 007 franchise) have said a whole lot for months. In the land of the blind, the one-eyed man is king. In the land of a news blackout, a nugget becomes news. It’s another reminder about Eon’s new normal. The Bond franchise has franchise has transitioned from being a film series to more like occasional events not on a set schedule. In the 1970s, even 1980s, it probably wouldn’t have been much of a story if Desmond Llewelyn, the longest-serving film Q, commented about an upcoming film. Imagine in that time period if Llewelyn said, “I guess they’re getting ready. They have a release date. So they’d have to start filming something before too long.” That wouldn’t have been a blip. This isn’t a complaint. The world is as it is. And Eon’s new normal is what it is. Five years ago, the James Bond film franchise reached a level — unadjusted, adjusted for inflation, or whatever measure you’d like — not achieved since the height of Bondmania in the 1960s. That was Skyfall, the 50th anniversary 007 film. It was the first (and so far only) Bond film to reach and exceed the global $1 billion box office level. Even taking into account ticket price inflation, the 2012 007 adventure is No. 3 in the U.S. in terms of number of tickets purchased. On that basis (or “bums in seats” as the British would say), Skyfall is No. 3 in the U.S. market for Bond films, behind only Thunderball and Goldfinger. Bringing the 23rd James Bond film to cinemas, however, was a more difficult undertaking than usual. Initially, Eon Productions hired three writers: The team of Neal Purvis and Robert Wade as well as prestige film writer Peter Morgan. Morgan had been twice nominated for an Academy Award. As it turned out, Morgan had deep doubts about the viability of the James Bond character, something he didn’t go public with until a 2010 interview. “I’m not sure it’s possible to do it,” Morgan said in 2010, after he had departed the project. Still, Morgan’s main idea — the death of Judi Dench’s M — would be retained, even though the scribe received no screen credit. But there was a bigger challenge. While the film was being developed, Metro-Goldwyn-Mayer, the 007 franchise’s home studio, went into bankruptcy. Eon Productions, on April 19, 2010, said Bond 23, as the yet-untitled film was known, had been indefinitely delayed. MGM emerged from bankruptcy in December 2010. There was a cost, however. MGM, which had already shrunk from its glory days, was even smaller. It had no distribution operation of its own. Behind the scenes, things were happening. Eon was bringing director Sam Mendes on board. 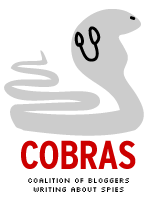 Initially, he was a “consultant” (for contract reasons). Eventually, Mendes got his preferred writer, John Logan, to rework the scripting that Purvis and Wade had performed. Mendes also was granted his choice of composer, Thomas Newman. David Arnold’s streak of scoring five 007 films in a row was over. Roger Deakins, nominated for multiple Oscars and who had worked with Mendes before, came aboard as director of photography. In January 2011, a short announcement was issued that Bond 23 was back on. Mendes officially was now the director. Over the next several months, the casting of Ralph Fiennes, Naomie Harris, Ben Whishaw and Berenice Marlohe leaked out, with Eon not confirming anything until a November 2011 press conference. Even then, some specific character details remained unconfirmed. For example, Eon wouldn’t confirm that Whishaw was the new Q until July 2012, well after the actor had completed his work on the film. Regardless, Skyfall benefited from much hype. Being the 50th anniversary Bond film got the movie additional publicity. What’s more, London hosted the 2012 Summer Olympics. A major part of the opening ceremonies was a Danny Boyle-directed sequence featuring Daniel Craig’s Bond and Queen Elizabeth supposedly parachuting to the festivities. Mendes, a director of the auteur school, also imported his style into the movie itself. Various segments were intended to provide dramatic moments to the principal actors. Among them: A shaky Craig/Bond seeking redemption; a theatrical entrance for Javier Bardem’s villain; a dramatic reading of a poem for Judi Dench’s M, who is under fire by U.K. politicians. Not everything holds up to scrutiny if you think much about it. –Bond deserted the service, apparently upset about being shot by fellow operative Naomie Harris, while MI6 doesn’t seem to mind that at all. This was based loosely on the You Only Live Twice novel, where Bond went missing because he had amnesia. That doesn’t appear to be the case in Skyfall. –Bond has the Goldfinger Aston Martin DB5 in storage, all gadgets still operational. Purvis and Wade originally wrote it as the left-hand drive DB5 that Bond won in Casino Royale in a high-stakes poker game. But Mendes insisted it be the Goldfinger car. –M blathers on. She’s fully aware — because Rory Kinnear’s Tanner told her — that Bardem’s Silva has escaped. But that’s secondary to the poem, which gives Silva and his thugs time to arrive and shoot up the place. None of this mattered much with movie audiences. Every time the Spy Commander saw the movie at a theater, the audience reacted positively when the DB5 was revealed. Some British fans rave to this day how wonderful the M poem scene is. Yet, when you break the sequence down, the doomed MI6 chief got numerous people killed by Bardem’s thugs by keeping them around instead of letting them disperse. For all the trouble, for all the script issues, Skyfall was an unqualified hit. The movie’s release was the biggest Bond event since Thunderball’s release in 1965. Skyfall also broke a long Oscars losing streak for the 007 film series. The movie won two Oscars (for best song and sound editing). Both Newman and Deakins had been nominated but didn’t win. Normally, a studio or a production company would want to strike while the iron was hot. Not so in this case. Eon Productions boss Barbara Broccoli, in 2012 interviews, made clear she would not be hurried into the next 007 film adventure. There would be no quick attempt to follow up on Skyfall’s success. At the same time, Mendes indicated he didn’t want to direct another Bond film. He relented and his hiring for the next Bond movie was announced in July 2013. It’s possible a bit of hubris set in. You can imagine people saying something like this: “If this movie did $1 billion at the box office, the next 007 film will surely do $1.5 billion!” Or whatever. That’s human nature after all. Instead, the next Bond outing would run into a new set of problems. Nevertheless, that should not distract from what Skyfall achieved (even for fans who didn’t enjoy the movie as much as others) five years ago. 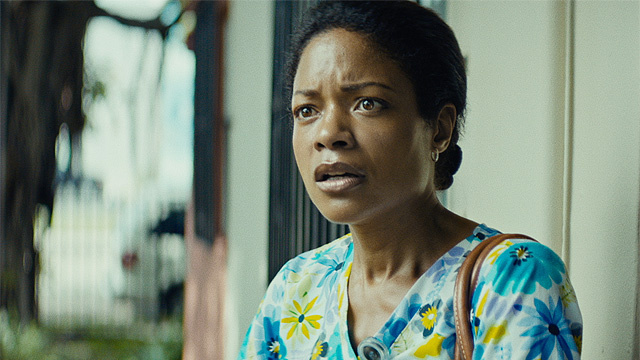 Naomie Harris caused some buzz in 007-land this week after giving an interview with Total Film that got summarized in the UK tabloid Mirror. Even though she is part of the 007 franchise, Naomie admits she has equally been drawn into speculation about who will be Bond in the next film, though producers have insisted to her they are not even thinking about the project yet. Nobody should be surprised. Why? Because if we were within a year of production starting, more would be happening. Some recent history. The Deadline: Hollywood website first reported in January 2010 that Eon was considering Sam Mendes to direct the then-untitled Bond 23. The project got delayed by the bankruptcy that year of Metro-Goldwyn-Mayer, Bond’s home studio. But the movie was a go again by January 2011 — 10 months before it began filming. Later THAT SAME MONTH, Deadline reported that Eon was considering casting Javier Bardem in the film. 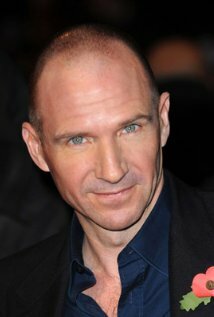 Baz Bamigboye of the Daily Mail reported in February 2011 that Ralph Fiennes was in talks to join the cast. Harris’ own casting in the film was reported by the now-defunct News of the World in June 2011. In other words, months before filming began, news about the director and cast began to appear. The story was similar with 2015’s SPECTRE, which had an announced writer in November 2012 and a release date and director (Mendes again) announced in July 2013. With Bond 25, there’s no director, no script (as far as anyone knows) and no cast, including a confirmed James Bond. Daniel Craig, who turns 49 in March, has said he’d miss playing Bond but hasn’t actually said he’ll do it again. Oh, and there’s no studio to release Bond 25. MGM is too small to distribute Bond films and has no studio partner lined up yet. 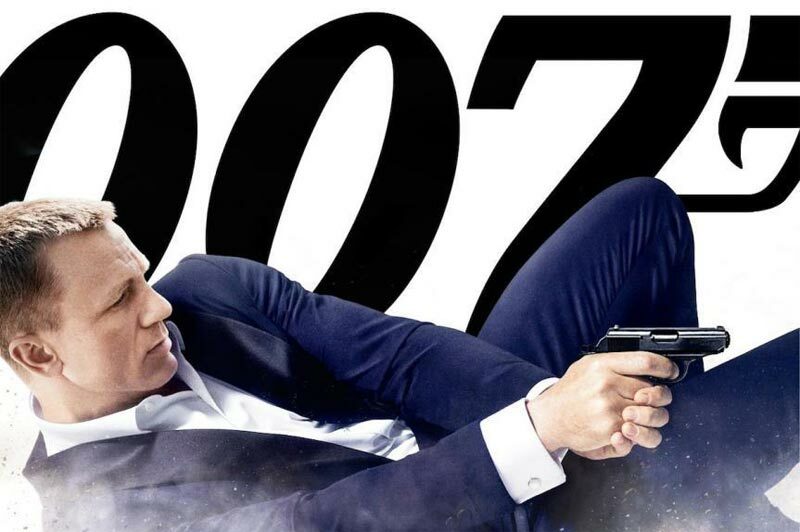 Sony Pictures has released the past four 007 films. Many fans are hopeful that Bond 25 can make a fall 2018 release date. But there are no signs Eon is gearing up. Eon boss Barbara Broccoli produced Craig’s now-concluded Othello play. She is working on a non-Bond film (Film Stars Don’t Die in Liverpool) and another play, based on the life of studio mogul Robert Evans. At this point, there is no sign of the kind of activity that precedes a Bond movie. So the quotes from Harris ought not be surprising. If Eon and MGM showed more urgency a 2018 release date could still happen. But there’s no sign of such urgency. Ralph Fiennes, the current M in the James Bond film series, speculated that Bond 25 might take a lighter tone. “Well I think if you’re the next director of Bond, you’re going to not want to go down the tone and argument of what Sam [Mendes] has put into the films,” Fiennes said in AN INTERVIEW WITH THE TELEGRAPH. Fiennes stressed to the newspaper he knows nothing about the next 007 project, which currently has no confirmed leading man, no director and no script. Anyway, in the interview, Fiennes did a quick summary of the Mendes-directed Skyfall and SPECTRE, and commented about how a new director might approach Bond. It’s an interesting bit of conjecture. SPECTRE was intended as a hybrid of the serious Daniel Craig style while having more of the traditional escapist Bond tone. The movie supplied a new Ernst Stavro Blofeld, who turned out be Bond’s foster brother. To read the entire interview, CLICK HERE. The story leads off with Fiennes commenting about how Russian audiences didn’t like the more serious approach of the Craig films.